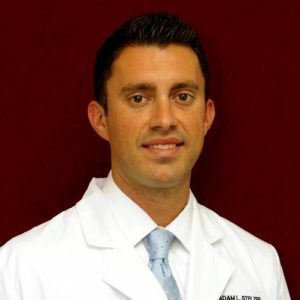 Dr. Adam Stelzer was born and raised in Bradenton, FL. He graduated the University of South Florida in 2003, and Nova Southeastern University College of Optometry in 2007 with honors. Being the only nationally board-certified optometrist in Miami Beach, he takes eye health seriously. Dr. Stelzer has extensive experience in co-managing Lasik eye care, and is a very active volunteer/representative of the Florida Optometric Association (FOA) as the 2018-2019 secretary-treasurer. He is slated to become the FOA president in 2021. He is also a past president of the Miami-Dade Optometric Physicians Association (MDOPA) and is a founding board member of The Optometric Cross Linking Society. He was voted “Young Optometrist of the Year” in 2012. In his spare time, Dr. Stelzer spends time with his fiancee and together, they enjoy traveling, concerts, scuba diving, and attending sporting events. He has been a resident of Miami Beach for over the last decade and enjoys the unique and diverse community. Dr. Kesselman was born and raised in the Philadelphia, Pennsylvania area. After high school, he attended the University of Central Florida where he earned a Bachelor of Science degree in Molecular Biology and Microbiology in 2010. Dr. Kesselman continued his higher education and graduated in 2014 as a doctor of optometry (O.D.) after undergoing a rigorous four-year optometric education program at the University of the Incarnate Word’s Rosenberg School of Optometry in San Antonio, Texas. In-house clinic at school provided education with vision therapy, pediatrics, and contact lenses, as well as exposure to ocular disease, especially complications with diabetes. As a part of his education, Dr.Kesselman worked as an extern at a Veteran’s Administration outpatient clinic and in a private Opthalmology practice where he expanded his knowledge and experience with the diagnosis and management of ocular disease. In order to practice, Dr. Kesselman underwent all three parts of the national board examinations and currently holds a license to practice in the states of Florida and Pennsylvania.